Customize your tour to Alexandria, City of Alexander the Great, the way you like. Choose as many as four options from a list of the seven most interesting places in the city. Simply tell your guide at the start of the tour. Your guide will pick you up at 7am, for the drive to Alexandria (about 3 hours) by a private, modern a/c van (WiFi on board). 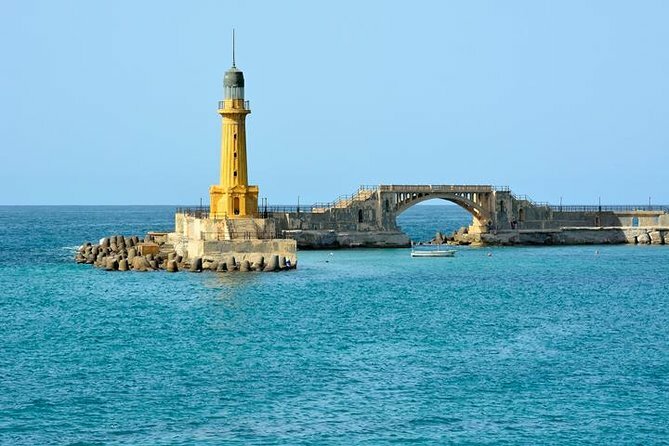 Alexandria was founded by Alexander the Great in 334 B.C, and remained capital of Egypt for about 1,000 years. Now it is the second biggest city and the biggest seaport in Egypt. Included in this tour is lunch of fresh seafood of the Mediterranean, and enough time for pictures with professional advice. At the end, your guide will take you back to your hotel.